INDUSTRY.co.id - Jakarta- In addition to increasing the development of human resources, President Joko Widodo (Jokowi) said, the Government also continued infrastructure development. 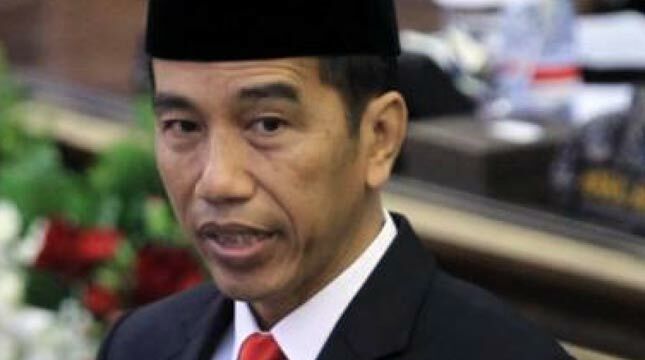 "The infrastructure budget allocation in 2014 was only around Rp154.7 trillion and was increased to Rp256.1 trillion at the beginning of the 2015 Working Cabinet, the 2019 RAPBN was attempted to increase to Rp.420.5 trillion," said President Jokowi when delivering the Revenue Budget Bill and State Expenditures (RUU APBN) for the 2019 Fiscal Year, at the DPR-RI Plenary Meeting, at the Nusantara Building, Jakarta, Thursday (08/16/2018) afternoon. Infrastructure development, according to President Jokowi, has strengthened connectivity, connected various economic potentials across Indonesia, equalized development, fostered new economic activities, and increased distribution of goods and services, the end result of which is improving community welfare, reducing poverty and unemployment, and reducing inequality . According to the President, from 2015 until now, the Government has built roads, widening national roads of 12,783 kilometers, 11 new airports, and from 2016 to 2017 369 kilometers of railroad have been built. "The government has also provided guarantees for priority energy infrastructure development programs, such as the construction of the 10,000 MW power plant stage 1, digital infrastructure in the form of internet access in non-commercial and broadband areas in the village, guarantee of drinking water supply programs to 11 PDAMs, and program guarantees. Government cooperation with Business Entities, "said the President, as reported by the Setkab Public Relations team. While on the other hand, in order to provide housing for the community, the Government has facilitated ownership of 781 thousand housing units for low-income people, through revolving funds, interest subsidies, down payment assistance, and tax incentives. The President emphasized that in 2019, the Government will continue to complete the infrastructure development targets needed for development in the region. By using APBN funds as a catalyst, the Government plans to build 667 kilometers of new national roads, 905 kilometers of toll roads, 48 ​​units of dams, and 162 thousand hectares of irrigation networks.